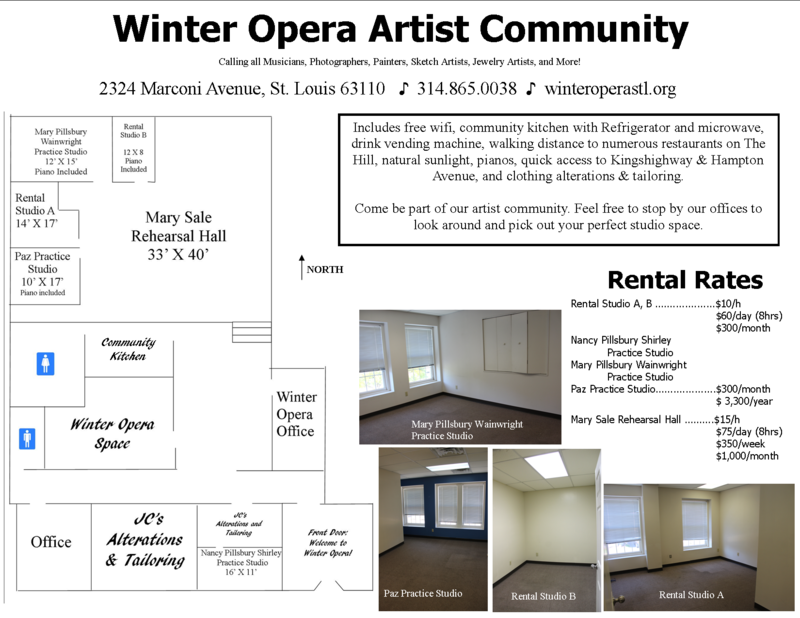 If you are interested in viewing The Winter Opera Rehearsal Studios or have any questions about studio availability, please contact Clare at clare@winteroperastl.org or 314.865.0038. All Studios are currently book for monthly rentals. Contact Clare for hourly inquiries. Welcome to the Winter Opera Artists Community. Our practice studios are each equipped with a mirror and carpeted flooring. 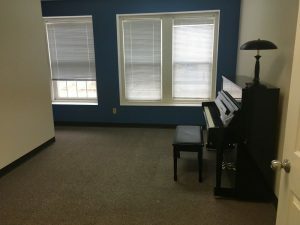 Four of our studios are also equipped with pianos. 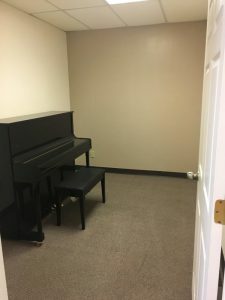 These practice rooms are perfect for teaching voice, piano and private instrumental lessons. 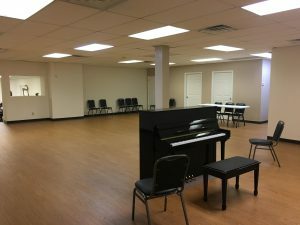 The studios are also nice for students and professionals in need of a quiet space to practice. Large windows in most of the available studios allow natural light to flood the space, perfect for visual artists. We have a large parking lot and ample street parking. Winter Opera takes all major credit cards and gladly accepts cash and checks. Consider Winter Opera for all of your needs in music, staging, teaching, art studio, and lectures. 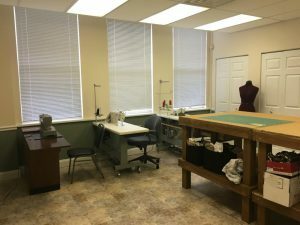 Our easily accessible studios will allow you to focus on your goals in a professional, fully equipped and affordable space. Space includes free WiFi, community kitchenette, walking distance to numerous restaurants, and an in – house clothing alteration and tailoring company. Thank you for supporting Winter Opera Saint Louis!